According to a recent social media marketing report, B2B companies prefer LinkedIn to Facebook. It’s time to heed this trend if you haven’t already. The LinkedIn Sales Navigator is worth investing in. This is because it helps with prospects research and buyer identification. You can engage with decision-makers as it tells you what your prospects care about. This matters because reach without engagement gets your nothing. That said, LinkedIn Sales Navigator is still only one part to consider. With the wrong sales approach and messages, lead suggestions and insights won’t count. 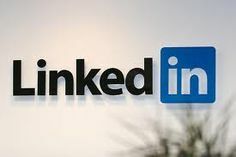 Instead of surfing Facebook when free, continue to use LinkedIn to network. You can either companion apps or LinkedIn itself. Your smartphone should suffice. It’s not difficult to share content on your profile on the go. Also, personalize your message when you contact new connections. LinkedIn Connected helps you keep in touch with those you already know. It’s important to stay in touch with what’s happening with them. With 364 million plus members, LinkedIn ranks highest for B2B lead generation value. This translates to either finding a new job or finding talent. Yet there’s search engine optimization value that LinkedIn offers too. It’s important that optimize your LinkedIn page for SEO. Include the most important SEO keywords related to your company on your LinkedIn Page.